One of the biggest fears of every homeowner is that their home could catch on fire. Even scarier is that your family could be inside sleeping and not know until it's too late. 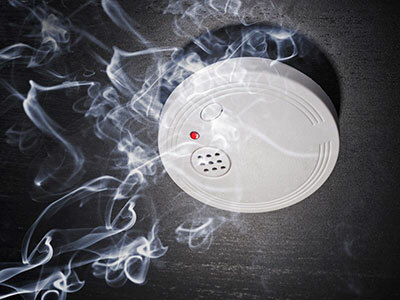 Corporate Protective Services has a high-quality and extremely accurate smoke detection system that is sure to notify you and your family of any signs of smoke or fire. When one of our fire alarms is activated, not only will your family be notified, but so will the fire department allowing emergency help to arrive as soon as possible.